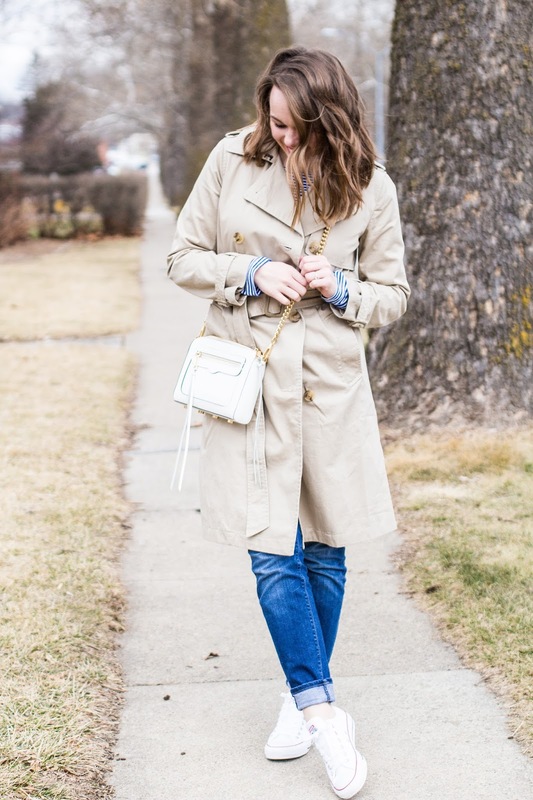 Last week, I wrote a post about the 6 must-have jackets for spring. 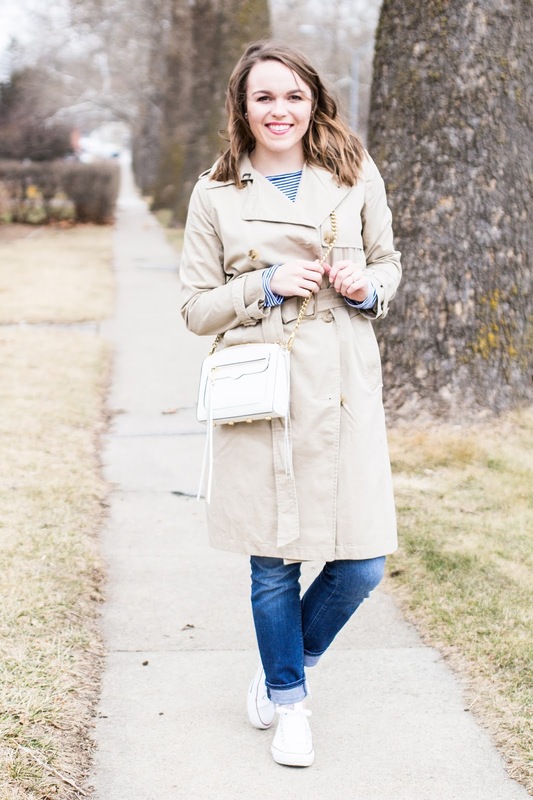 Thankfully over the weekend I checked another one off my list, the trench coat! 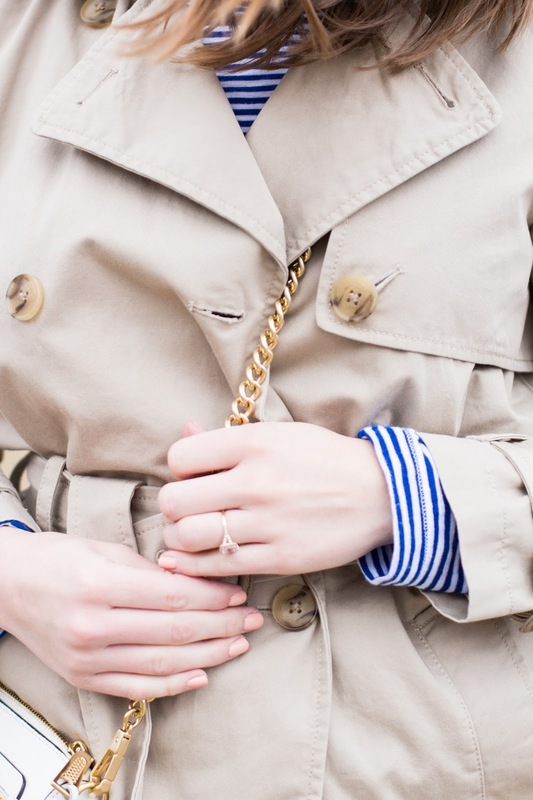 I don't know why I have never invested in a nice trench before. 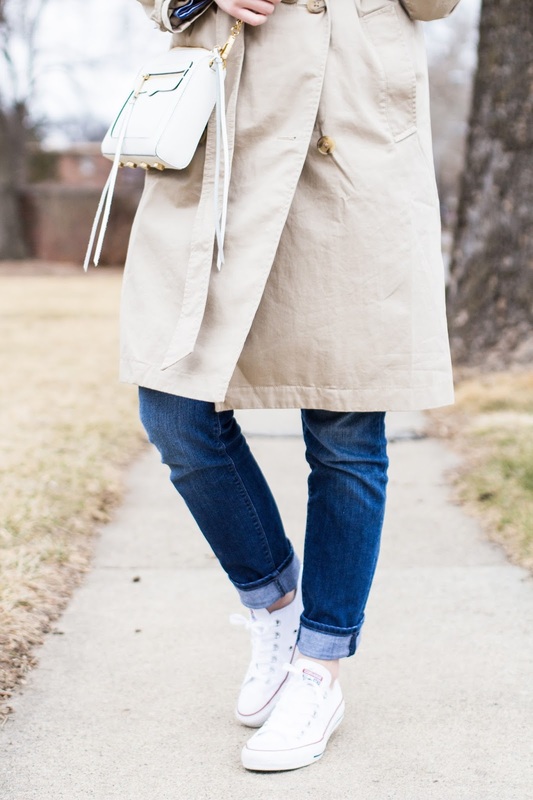 It is so versatile but also extremely comfy and easy to wear. One thing I noticed while donning it all weekend was that it kept me perfectly warm and nice and cool when needed. Up until now, I have been wearing my wool coats and the past few days have been way to warm for that. 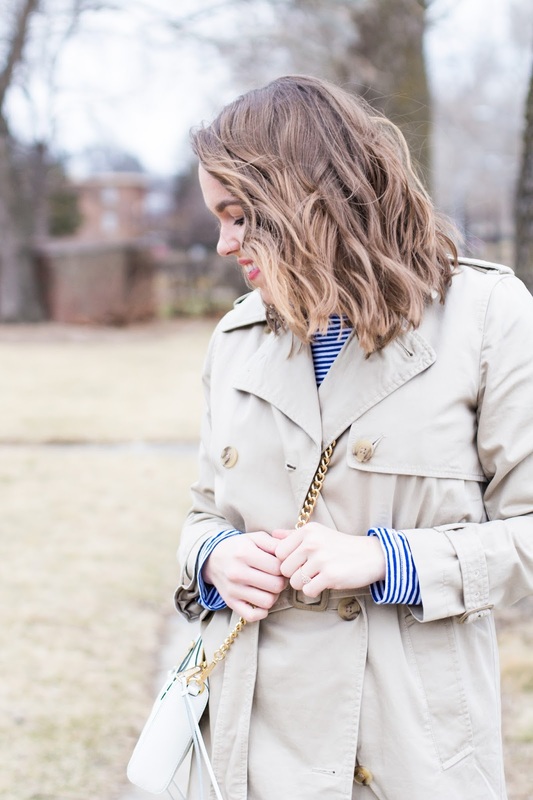 This outfit is my new go-to weekend get up: a simple stripe tee, comfy jeans, converse, and my new trench coat. Not to mention, I bought the coat while it was 30% off so I felt better about making more of an "investment." Also, my striped tee is on sale at Banana Republic...it is so comfortable! Did you happen to catch the Oscars last night? I am still not sure what to think about the whole thing, all together it was a bit too much for me! I think I will stick to being a movie-goer who enjoys a huge tub of popcorn, a box of crunch-a-bunch, and laughing hysterically at Melissa McCarthy (and leave the critiquing to the Academy).